This Park View Pied-à-terre is perfect for entertaining guests in the city. Formerly an unused space within the home, the tiny attic was converted into a cozy and comfortable guest suite. This eco-friendly space utilizes the existing architecture and was designed by salvaging and restoring much of the home's original materials, such as the natural wood flooring. A built in walnut platform bed and bespoke floor sofa are low profile and maximize the space. 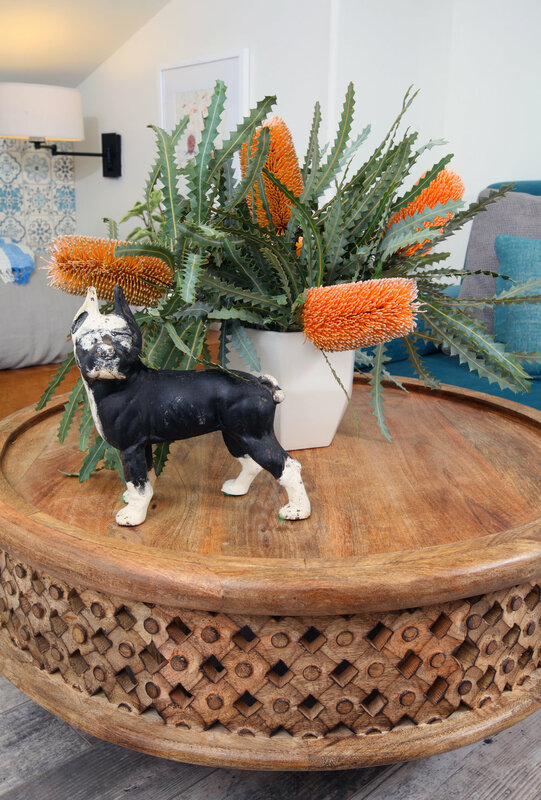 An antique iron doorstop rests on the carved mango wood coffee table. 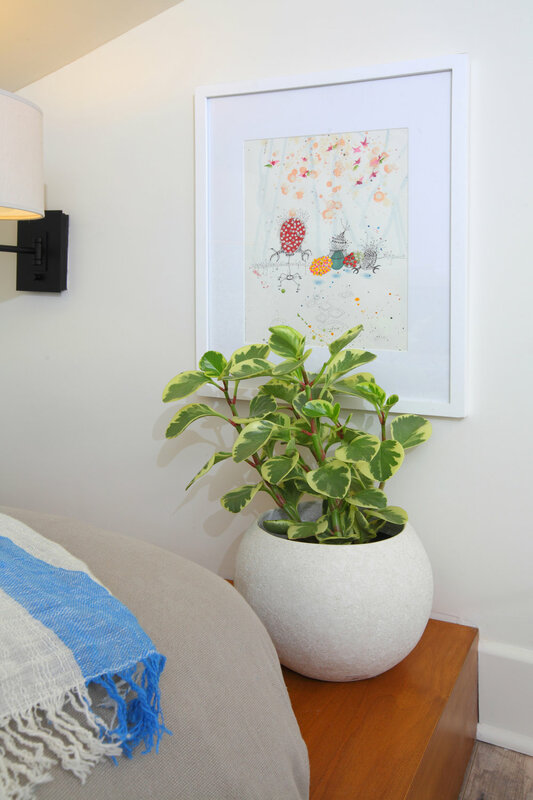 Artwork by Karrie Ross and an adjustable swing arm wall sconce frame the sleeping nook.